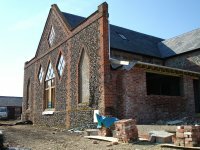 Are you in need of structural engineers in Ipswich or Suffolk? Then make sure you call on the experts here at Kemp Rust Consulting Ltd.
Whatever you require with regards to structural engineering, we aim to provide a first rate service from start to finish. Our time served engineers hold the necessary knowledge and experience that enables them to complete any work in a professional and reliable manner, so call today and talk to one of our friendly team to see what is on offer for you! 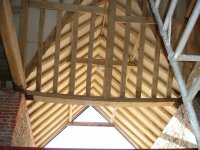 For structural engineers in Essex, you won't find better than right here at Kemp Rust Consulting Ltd. We are based in Ipswich but cover the whole of East Anglia with our services, including such towns as Colchester and Bury St Edmunds. Whether you are an architect, a member of the general public or a local authority; you can benefit from our thorough and professional work. We pride ourselves on the reliable and friendly services we offer, and it is due to our admirable work ethics and competitive rates that we have been able to build and maintain an enviable reputation throughout our industry.We have over 42 years combined experience in the trade, and have been established for 14 years now; meaning we have gained the skill and expertise required to provide all of our customers with a first class service at all times. 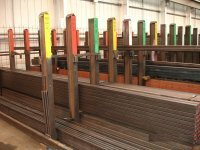 For the premier structural engineers in Ipswich, call on Kemp Rust Consulting Ltd today! For more information, please call us on 01473 254 141 or 01473 254 150 or email us at andrew.rust@kemprustconsulting.co.uk, or by using the online query form. We look forward to hearing from you!